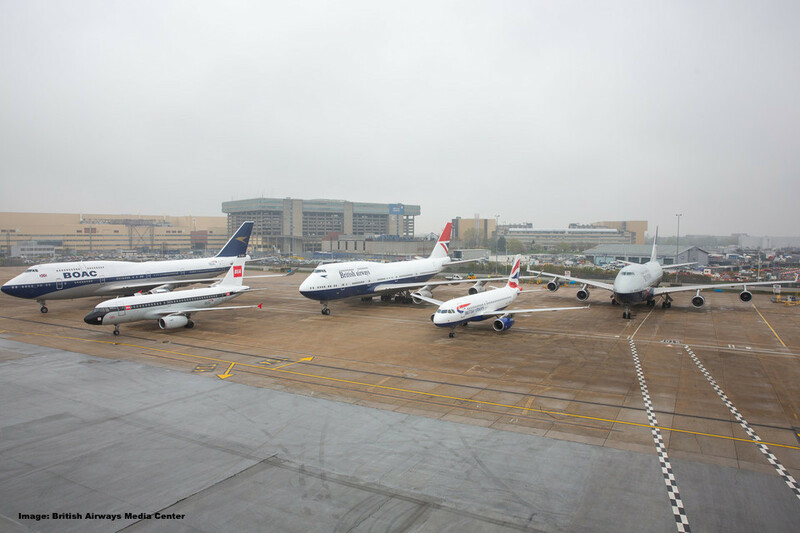 To mark a special occasion British Airways lined up all four of its retro livery jets at London Heathrow yesterday to celebrate a milestone for their four heritage aircraft fleet: The 50,000th customer flying them within the last two months! This event celebrated the four specially painted aircraft in iconic designs which were introduced into the fleet over the course of February and March of this year. The aircraft have become a big hit with aviation enthusiasts worldwide and a favorite to take a picture of/with. 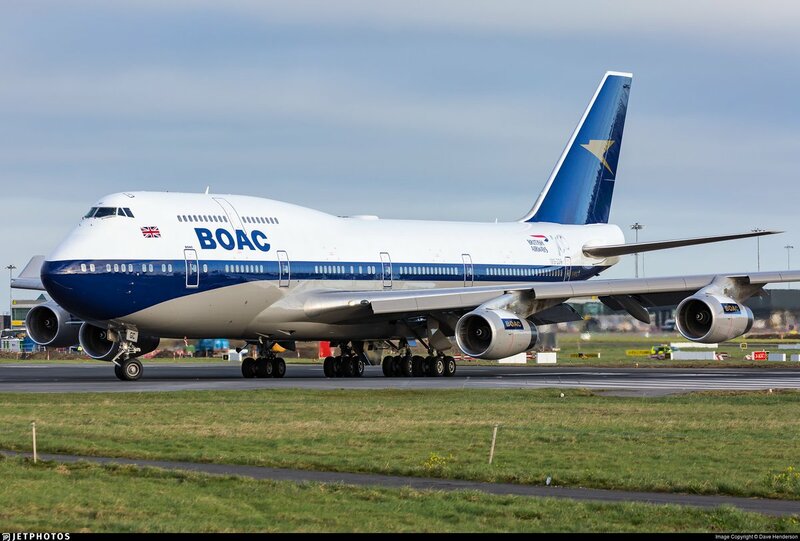 Social media is full with snaps of one of the four aircraft and it appears the BOAC livery is many peoples favorite. Four aircraft transporting 50,000 passengers within just two months gives you a good idea about the volume of passengers a big airline lifts every year (all puns intended). The BOAC is indeed a beauty. Simple and elegant for a 747. 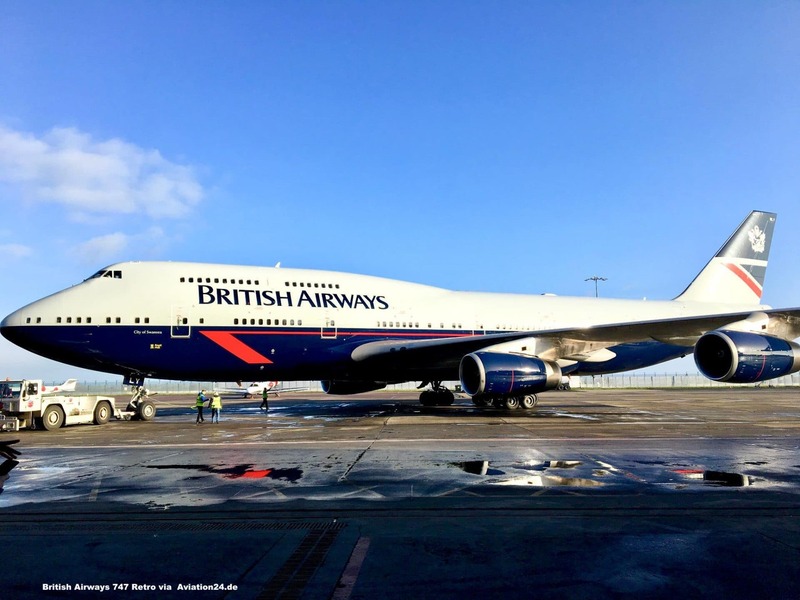 But maybe some of you fancy the original BA livery? Really hard to decide which of the four liveries are my personal favorite but it’s definitely one of the 747s. BA is really pulling out all the stops this year including this special aircraft series to mark British Airways’ centenary. 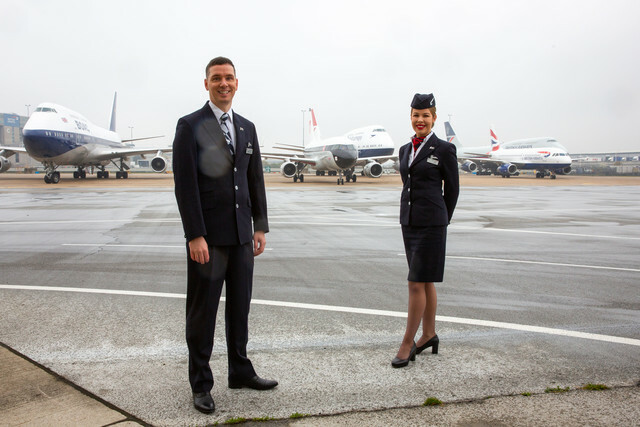 The BA100 program throughout 2019 is extensive including the new Business and First Class rollout. Hopefully this will be the beginning of better times as the once proud carrier has really suffered over the years, becoming a shadow of it’s former self.